Florida’s medical negligence laws provide for a system of “voluntary binding arbitration” that is supposed to make things easier for victims. In submitting to arbitration, the health care provider must admit liability. The arbitration is therefore limited to a determination of damages. The health care provider must also assume all costs associated with the arbitration. The arbitrators must also be independent and include at least one administrative law judge. Given that a malpractice victim waives his or her right to have their case heard in court–i.e., before a jury–it is important that any arbitration conform to the requirements of Florida law. 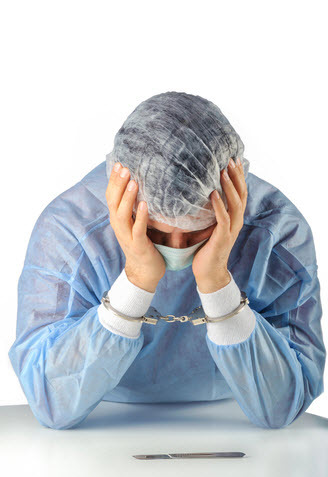 Unfortunately, many health care providers in the state have tried to do an end-run around the law by insisting patients sign private arbitration agreements that tilt the playing field against malpractice victims. The Florida Supreme Court recently took a stand against such non-statutory arbitration agreements. The Court specifically addressed the case of a Florida woman whose child was stillborn after she was turned away from a medical appointment because “she was a few minutes late.” When the victim filed a malpractice lawsuit against her health care providers, they moved to enforce a previously signed arbitration agreement. This arbitration agreement departed from Florida law in several respects. First, the agreement called for appointment of arbitrators of the parties’ choosing, rather than independent arbitrators. Second, the agreement allows the defendants to opt-out of the state’s arbitration rules by simply withholding consent for 20 days. If the victim refused to comply, the defendants could appoint their own arbitrators and try the case without her consent. Third, the agreement required the victim and the defendants to split the costs of arbitration. Fourth, the defendants would not be liable for any interest on a damage award, as they would be under Florida law. Fifth, the defendants would not be individually liable for the entire damage award. Finally, the victim would not have any right to appeal the arbitrator’s decision. The Florida Supreme Court, in a December 22, 2016, decision, said all of these departures from state law was unacceptable. While parties are free to enter into private arbitration agreements, they may not do so in a manner that goes “against public policy,” as expressed by the Florida legislature. The Court said any agreement that changes the “cost, award, and fairness incentives” of the state’s medical negligencearbitration law is therefore unenforceable. The Supreme Court’s decision is welcome news for thousands of vulnerable Florida patients who unknowingly sign away their legal rights every year at their doctor’s office. If you have been the victim of a health care provider’s negligence, it is important to work with a qualified Clearwater medical negligence attorney. Contact the Law Office of Paul B. Genet, P.A., at (727) 538-8865 to speak with an attorney right away.